Master Taixu (1889-1947), one of the four eminent monks in the Republic of China, used to be the chief Buddhist monk of Lingyin Temple. His secular surname was Li and first name Peilin or Peisen. He was born on December 28, 1889 in Chang’an Town, Haining City in Zhejiang Province. He became a Buddhist monk in 1904 in Xiaojiuhua Temple in Mudu Town, Suzhou. Following Master Shida, he was given the religious name Weixin and later Taixu by Master Zhuangnian. Then he received the complete precepts under the instruction of Master Jichan at Tiantong Temple in Ningbo. After that he travelled and visited eminent Buddhist masters in different places, studying the teachings of Tiantai School of Buddhism from Master Dixian, and the interpretations of Xiang Zong Ba Yao (Eight Essential Texts of Faxiang School of Buddhism) and Jiao Guan Gang Zong (The Essence of Teaching and Meditation) by Master Daojie. In addition, not only did he dig into Buddhist classics and probe into the history and origin of Zen Buddhism, he also read domestic and overseas masterworks and made friends with democratic revolutionaries. In 1909, Taixu arrived in Nanjing, where he studied in Zhihuan Temple established by the famous layman Buddhist Yang Wenhui. He then became a teacher in Huayu School in Mount Putuo. In 1911, Taixu went to Guangzhou where he was elected the abbot of Shuangxi Temple on Baiyun Mountain. However, chased by the Qing officials for participating in some revolutionary activities aimed at overthrowing the Qing Dynasty, he fled back to Xilin Hall in Mount Putuo. 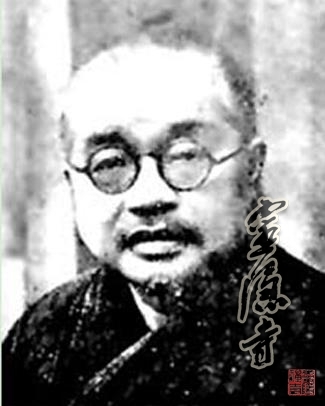 After the Revolution of 1911, he founded Buddhism Advancement Association in Nanjing. While attending the inauguration in Jinshan Temple in Zhenjiang, he put forward his idea of reforming Buddhism, which, however, led to a conflict with conservative Buddhists. This is the famous “Jinshan Temple Event” in modern Buddhist history. Later in the memorial service of Master Jichan in Shanghai, he advocated reforms of Buddhist teachings, Buddhist systems and the assets of Buddhist temples, aiming at problems that had built up over the years. Since then he travelled to and fro between Shanghai, Hangzhou, Ningbo and Shaoxing so as to propagate Buddhism. In 1914, with the support of Master Yinguang, he went to seclusion in Fayu Temple in Mount Putuo, during which time he wrote a series of works on Buddhism, such as Fo Fa Dao Lun (An Introduction to Buddha Dharma), Po Shen Wo Lun (My View on Spirit), Zhen Dan Fo Xue Shuai Luo Yuan Yin Lun (An Exploration of the Decline of Buddhism in China), Jiao Yu Xin Jian (New Understandings of Education) and Zhe Xue Zheng Gui (Principles of Philosophy). He also met Dr. Sun Yat-sen who came to visit him, exchanging with each other ideas on real life and reforms of Buddhism. In 1917, Taixu stopped his seclusion and at the invitation of Taiwan, he went to many places like Jilong for the promotion of Buddhism. In addition, he paid a visit to Japan. In the next year, he became the abbot of Guiyuan Temple in Ningbo and travelled to Shanghai to discuss with Zhang Taiyan the establishment of Awakening Society. In 1919, he arrived in Hangzhou where he changed Jue She Cong Shu (Series of Awakening Society) into Hai Chao Yin (Sound of the Sea Tide), which was published and distributed monthly. He served as the abbot of Jingfan Temple (Mile Temple) and Dafo Temple. In 1921, Master Taixu became the abbot of Jingci Temple in Hangzhou. Since he was an intimate of Master Quefei in Lingyin Temple, he was invited to assume the position of the chief monk there. In the August of 1927, after expounding Heart Sutra to Chiang Kai-shek’s mother in Xuedou Temple in Fenghua City at his invitation, Taixu travelled to Hangzhou, where he concentrated himself on the writing of such works as Zhen Xian Shi Lun (On Real Reality) and Zi You Shi Guan (Free Conception of History). The next year when Chiang Kai-shek passed by Hanghzou on his way to Nanjing, he specially called on Master Taixu and took a photo with Taixu and Master Quefei. The conversation between the two facilitated not only the founding of Chinese Buddhism Society by Taixu but also his leading of Chinese Buddhist delegation to visit western countries in hope of popularizing Buddhism and initiating a worldwide campaign on Buddhism. After the victory of the Anti-Japanese War, Taixu was assigned president of Chinese Buddhism Society. He then went to Hangzhou to discuss local Buddhist affairs and the organization of Buddhist societies with Master Quefei, the abbot of Lingyin Temple, and Master Tongxian, the abbot of Huazang Temple and the layman Buddhist Huang Yuanxiu. But nothing was agreed upon due to some reason. In 1922, Taixu founded Institute of Buddhism in Wuchang. After that he attended The International Buddhism Conference held in Mountain Lu, and The East-Asia Buddhism Conference held in Tokyo, Japan. He also had the chance to visit all countries in Southeast Asia. In 1926 after he returned to China, Taixu expounded Da Cheng Fo Jiao Zhen Yi (Real Meaning of Mahayana Buddhism) in Xiamen and served as the abbot of Nanputuo Temple and the president of Southern Fujian Institute of Buddhism. In 1931, he set up Sino-Tibetan Institute in Jinyun Mountain in Chongqing. In 1936 he led Chinese Buddhist delegation to visit South Asia. After the victory of the Anti-Japanese War, he took over Chinese Buddhism Society. He died on March 17, 1947, at Yufo Temple in Shanghai. Taixu was an eminent monk in the Republic of China. His devotion to the reform, propagation and revitalization of Buddhism and his advocacy of spreading Buddhism to the secular general played an important role in revitalizing Buddhism in the Republic of China. Until now the education of Buddhism in China and the idea of spreading Buddhism to the secular general are still credited to Zaster Taixu.